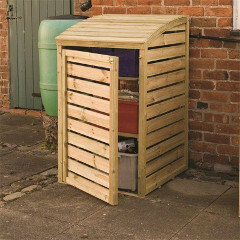 is ideal for storing long handled or tall items and comes with a sturdy, extra reinforced floor for heavier items. 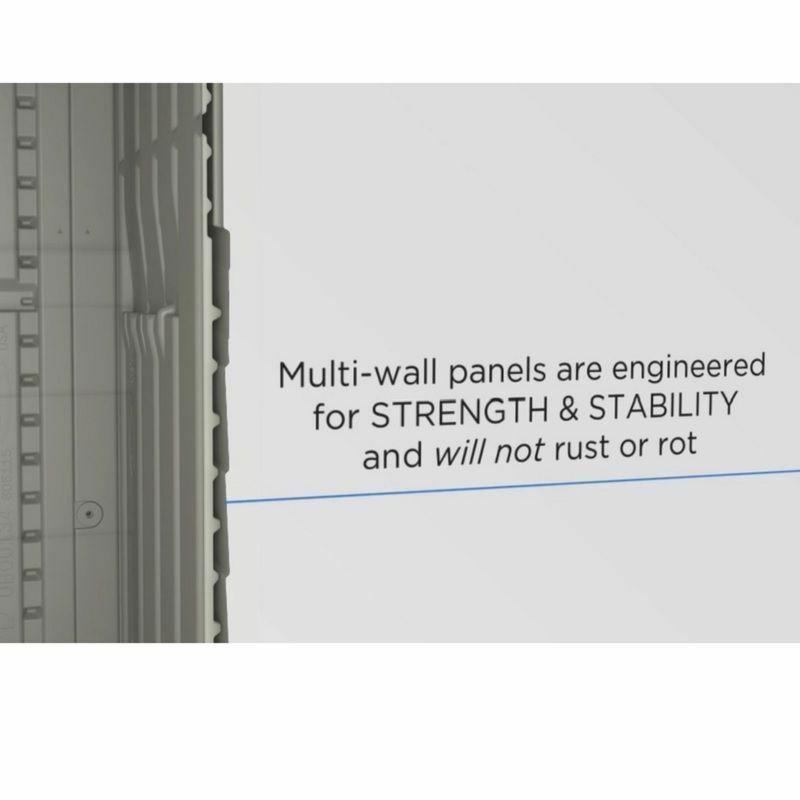 It features an extra strong, double wall construction and is easy to access with its robust double doors with easy to grip door handles. 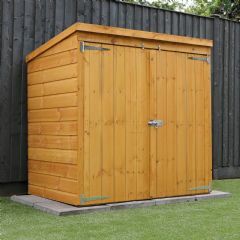 This high quality shed is an excellent practical storage solution for your garden to keep your outdoor accessories safe and secure and protected from the elements. 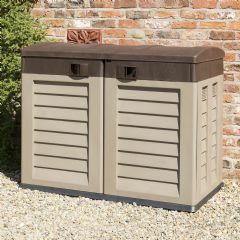 It makes a great addition to your garden and will complement any style. 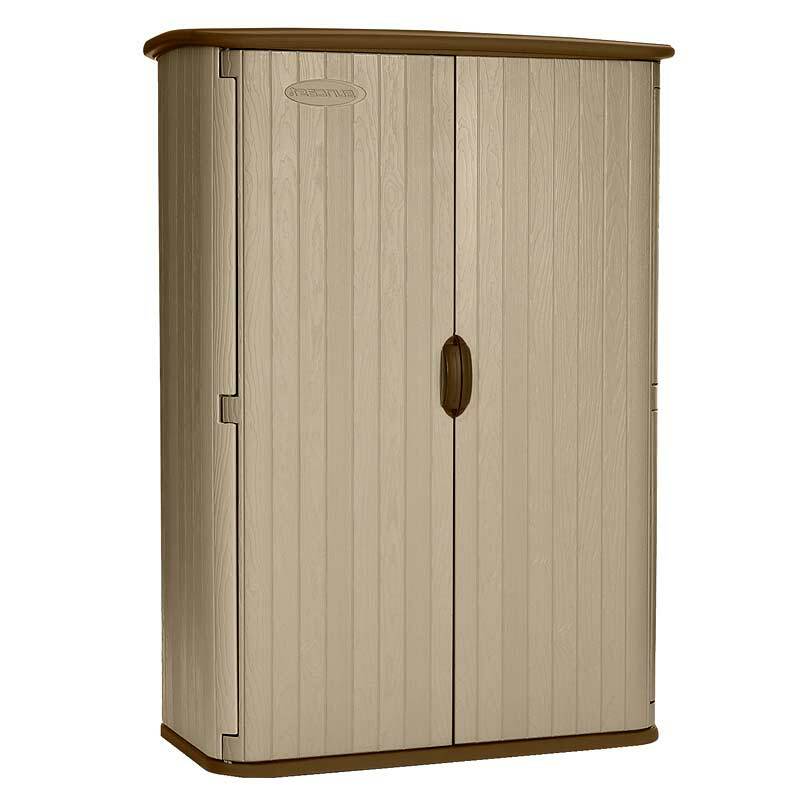 Made from a strong and durable resin construction with woodgrain texture throughout, this smart and attractive Conniston Vertical Storage Shed features a stay-dry design as well as a built-in shelf support that can accept 4 wooden shelves (not supplied). This is a quality product at a great price that makes a wise investment as it will last for years to come. 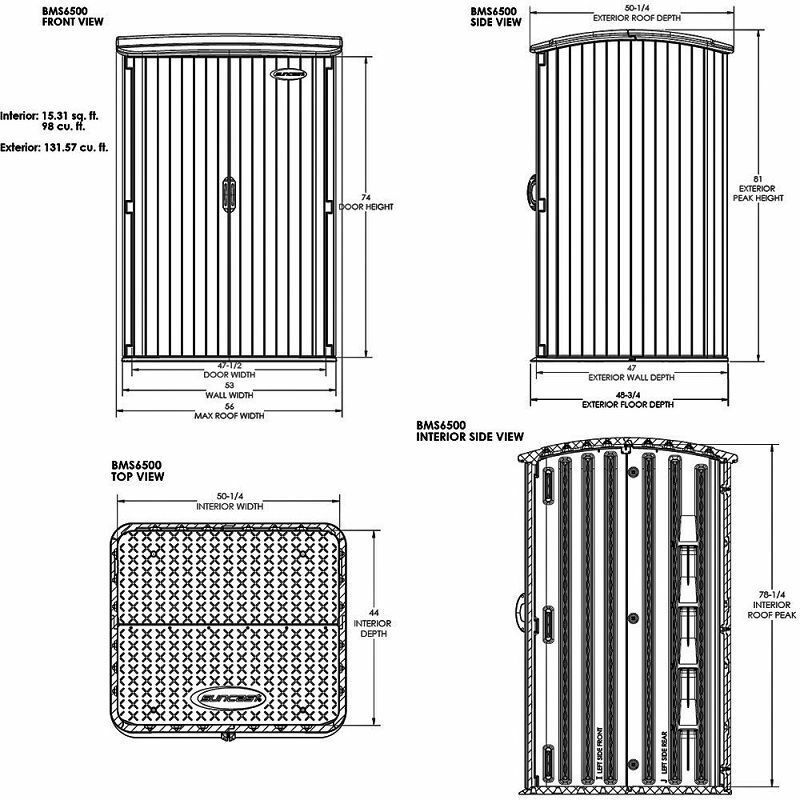 Suncast is renowned for high quality custom wood structures as well as high quality resin products.  They take pride in helping you to create a beautiful environment. 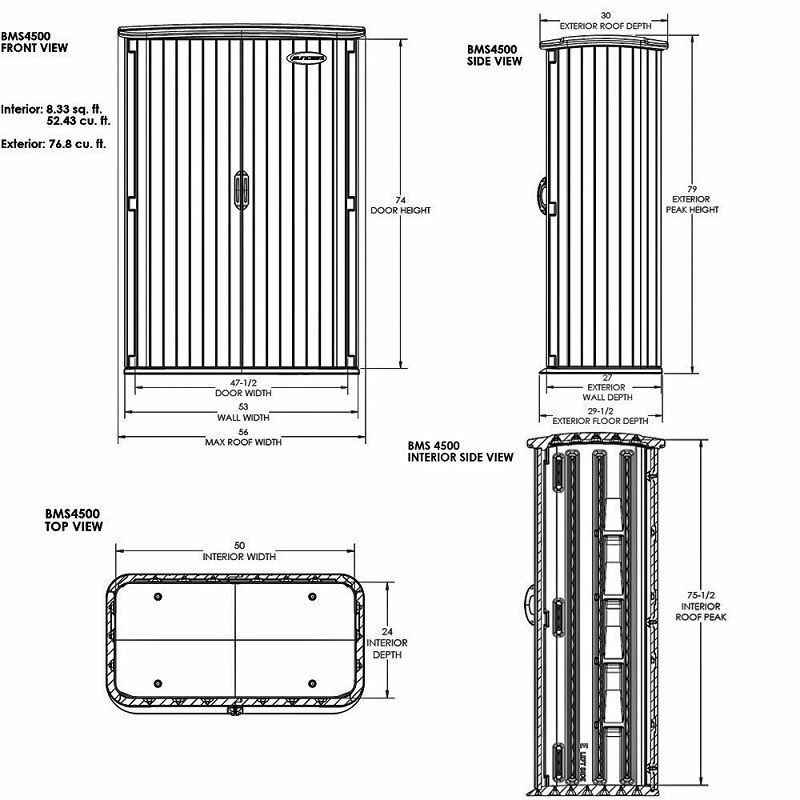 also comes with a sturdy, extra reinforced floor for heavier items. 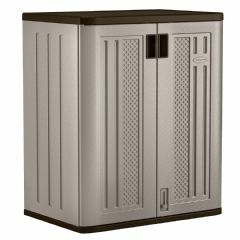 It is the perfect choice to store your long handled garden tools and accessories and features an extra strong, double wall construction. 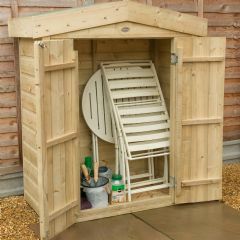 Easy to access with its robust double doors with easy to grip handles, this high quality shed is a superb practical storage solution for your garden to keep your outdoor accessories safe and secure and protected from the elements. It makes a great addition to your outdoors and will complement any garden decor. 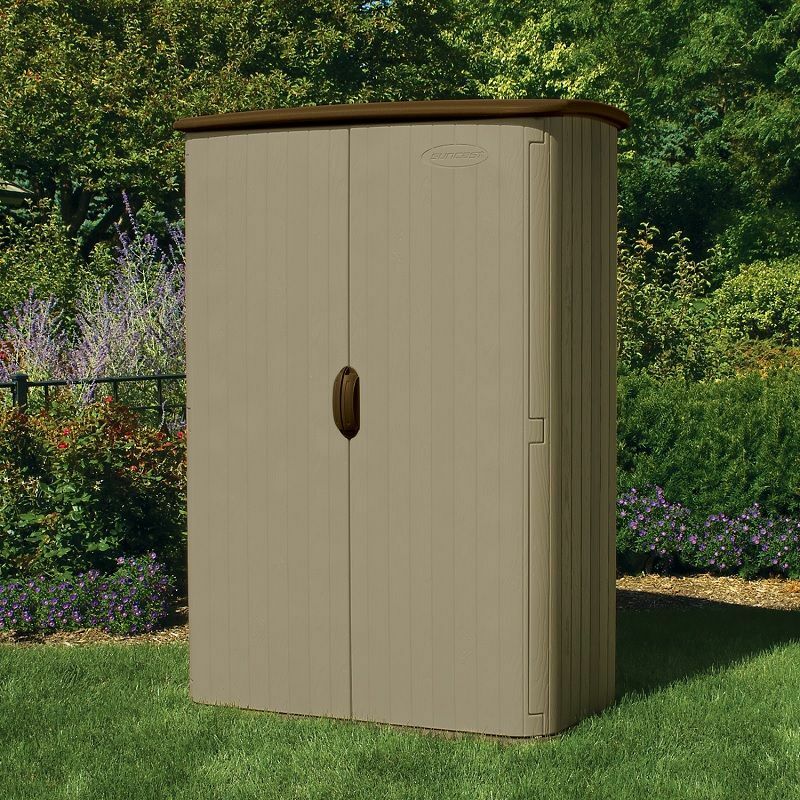 Made from a strong and durable resin construction with wood grain texture throughout, this smart, attractive Conniston Vertical Storage Shed features a stay-dry design as well as a built-in shelf support that can accept 4 wooden shelves (not supplied). This is a quality product at a great price that makes a wise investment as it will last for years to come. 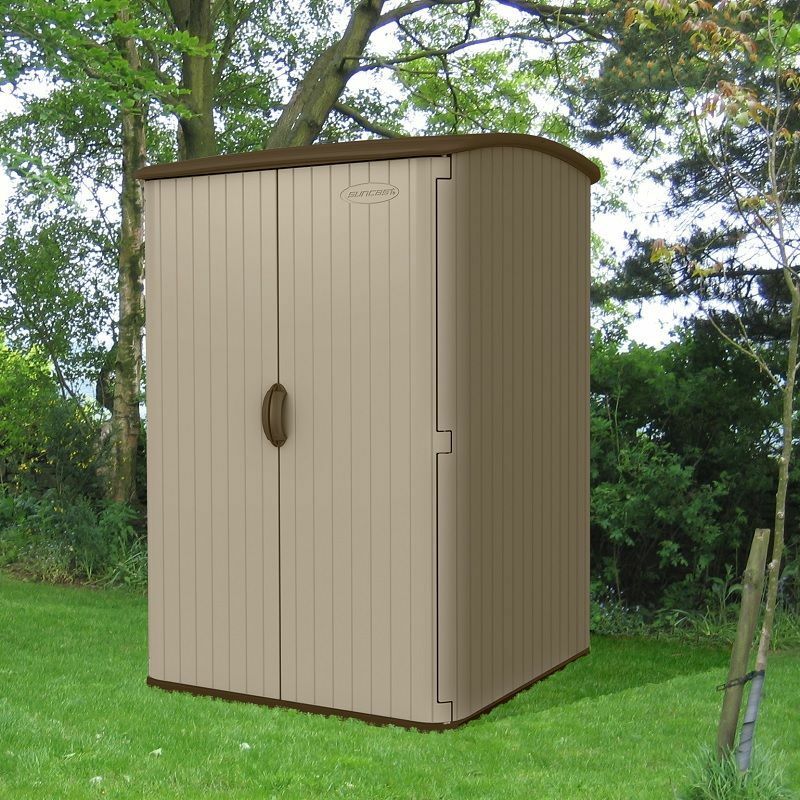 With a slightly curved roof, these large Suncast Conniston Three Vertical Storage Sheds also come with a sturdy, extra reinforced floor for heavier items. 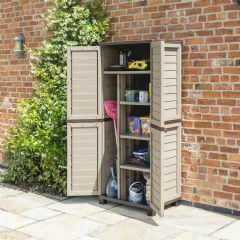 These are the perfect choice to store your long handled garden tools and accessories and features an extra strong, double wall construction. 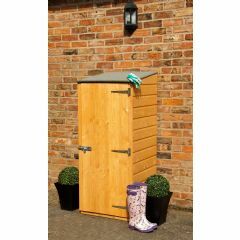 Easy to access with robust double doors with easy to grip handles, the high quality sheds are a superb practical storage solution for your garden to keep your outdoor accessories safe and secure and protected from the elements. 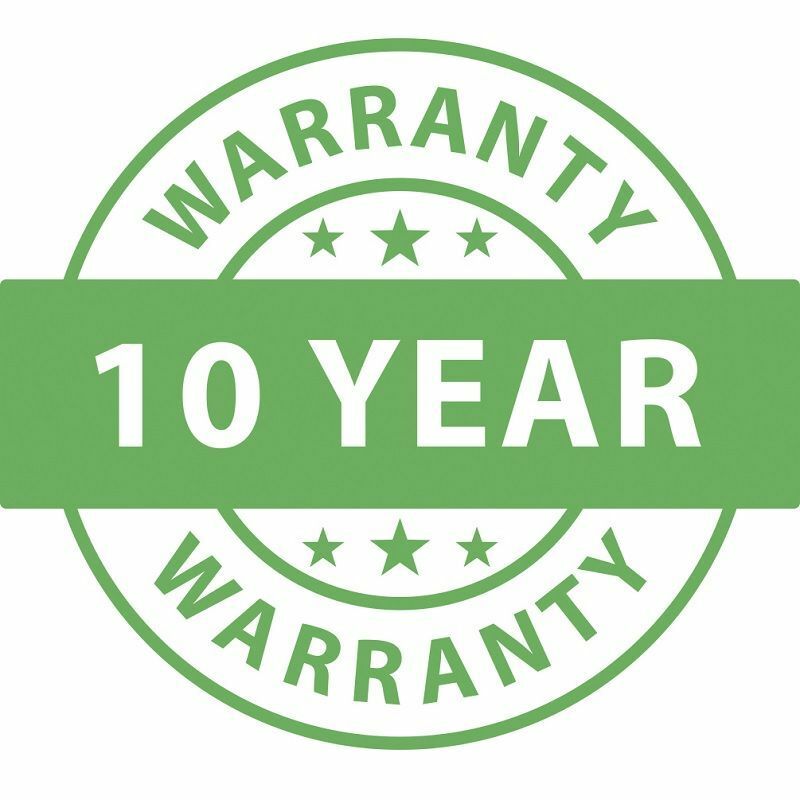 They make a great addition to your outdoors and will complement any garden decor. 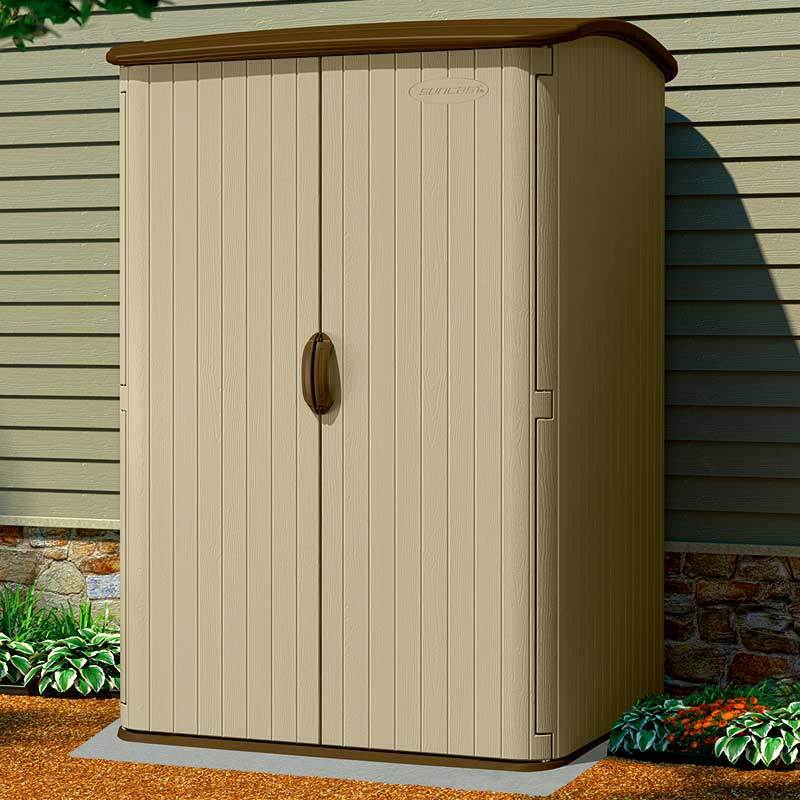 Made from a strong and durable resin construction with wood grain texture throughout, the smart, attractive Conniston Vertical Storage Sheds feature a stay-dry design as well as a built-in shelf support that can accept 4 wooden shelves not supplied. A quality product at a great price that makes a wise investment as will last for years to come.